Basic human needs have changed little over the years. Food, clothing and shelter have always been a primary concern of soldiers living in the field. From reveille to taps, soldiers endured the daily round of roll calls, meals, drills, inspections, and fatigue duties. Throughout this tedious and seemingly endless routine, it was often the personal necessities sent or brought from home, or purchased from sutlers [licensed provisioners to the army] that made camp life tolerable. 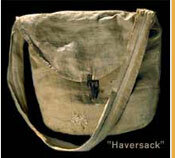 Many items were used for personal hygiene, grooming, and keeping uniforms in repair. These objects give us a personal and tangible connection to Civil War soldiers. 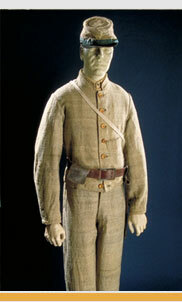 Confederate and Union soldiers added other clothing and equipment to their military issue . To make their life more tolerable, they brought various personal items to camp or were given them by family and friends. Few soldiers owned all the items in this exhibit, although most had at least some of them at any given time. Soliders of both Armies often wore civilian-style underwear that they provided themselves. Officers and wealthy individuals usually wore linen undergarments purchased from commercial houses. Junior officers and enlisted men usually wore military issued cotton and wool garments. Personal effects grew in number during long encampments. These were reduced to a minimum during long marches and battles. Items were boxed and stored in military bases or shipped to quartermaster storehouses and held until the campaigning season was over. Because of limited supplies, soldiers had to be resourceful. 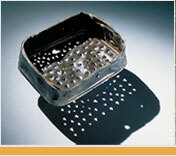 A leftover sardine tin might be fashioned into a corn shredder. The tin cup was military issue.